Vishalakshi Temple is dedicated to the Vishalakshi Maa (means wide eyed Devi) or the Goddess Parvati, the consort of the Lord Shiva. Vishalakshi Temple is also known as the Vishalakshi Gauri Temple. 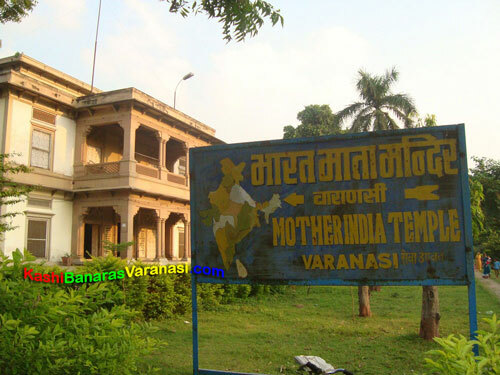 It is a most famous Hindu temple located at the Meer Ghat on the bank of the holy River Gange in the Varanasi, Uttar Pradesh, India. The Vishalakshi Temple is considered as a Shakti Pitha, the most holy temples devoted to the Hindu Divine Mother, Adi Shakti. 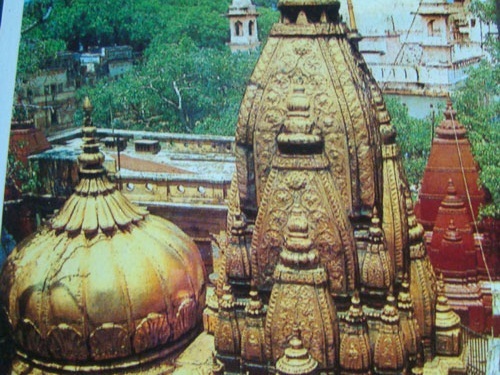 It is considered that the earrings or eyes of the Mata Sati have fallen in the Varanasi at this sacred spot. Kajali Tij, the most important Hindu festival for the Indian women, is celebrated at the Vishalakshi Temple very happily. This festival is held at the third day of the Hindu month of Bhadrapada (August) during fortnight. Sati was the daughter of the Prajapati Daksha and She got married to the Lord Shiva against Her father wishes. Once, Prajapati Daksha had organized a great yagya but he did not call his daughter and his son in law. Sati was very sorrow from Her father’s such behavior. She reached there but got insulted from Her father as he ignored the Sati. She could not bear insult of his husband (Lord Shiva) and She had jumped into the fire of yagya and committed suicide. She died but Her dead body did not burn. Lord Shiva became angry and had taken His Virabhadra Rupa. He cut the head of Daksha but finally He forgave him by reviving his life again. The heartbroken Lord Shiva had wandered in the universe by taking the Sati’s corpse. Finally, Lord Vishnu dissected the corpse of the Sati into 52 parts by His Chakra. Each of the body part became Shakti Pitha. At the place where body piece had fallen on the earth had changed into the temple. Lord Shiva had created 52 Bhairava for each Shakti Pitha as a guardian to secure the Shakti Pitha. It is considered that Her eyes or earrings had fallen in the Varanasi that’s why the temple in Varanasi called as the Vishalakshi Temple. 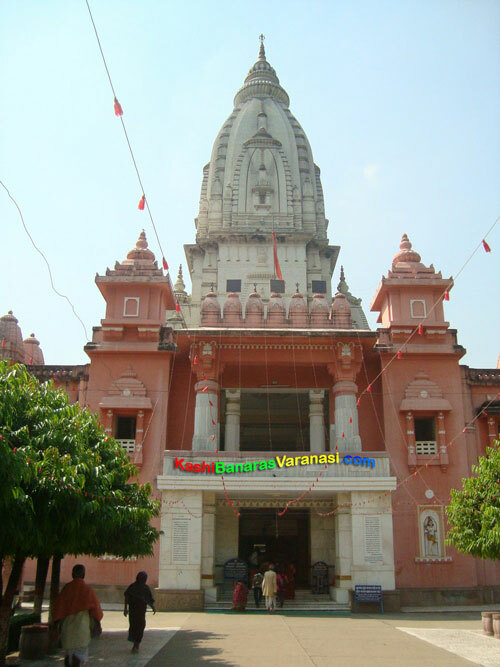 There are six points as a temple in the Varanasi which symbolizes Shastanga (six-fold) yoga. These are the Vishwanath Temple, the Vishalakshi Temple, the holy River Gange, the Kala Bhairava Temple, the Dhudiraj Temple (this temple is devoted to the Lord Ganesha) and the Dandapani temple (dedicated to Lord Shiva). Devotees take bathe in the holy water of the Gange just before offering worship to the Vishalakshi Maa. The devotees believe that offering puja, Jal, chanting songs to the goddess is highly profitable as Goddess provide success and wealth. Unmarried girls worship the Goddess Vishalakshi to find their groom, childless mother for getting a child and unfortunate people for their bright fortune. Devotees celebrate Navaratri at this temple in the month of October as well as celebrate the triumph of the Goddess Durga over the buffalo demon (Mahishasura). They celebrate other Navaratri in the fortnight of the Chaitra (March). At each nine days they worship Navadurga (nine Durgas). According to the Puranas, Vishalakshi Manikarnika or Vishalakshi Manikarni is one of the 52 Shakti Peethas. It is considered that the karna kundala (known as the earring) of the Sati fallen here that’s why known as the Manikarni or Manikarnika. In the Puranas, it is clearly mentioned that the Varanasi city will exist even after the Pralaya. Vishalakshi Temple is a powerful Shakti Peeth and is considered to bless to devotees a lot.